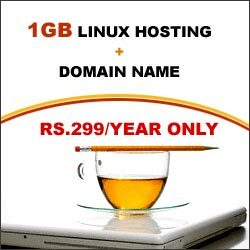 Digital India EssaY | Digital India Article | What is Digital India? Digital India is a campaign to ensure the government services are available to all the citizens of this country electronically through increasing internet connectivity and improved online infrastructure or by making the citizens of this country empowered (digitally) in the field of technology. This campaign was launched on 1 of July 2015 by the government of India under the rule of Prime Minister- Narendra Modi with a motto of – “Power to Empower”. It holds/provides an important aspect to the other key schemes of India, such as Make in India, BharatNet, Standup India, Industrial corridors, Startup India, Sagarmala, UDAN-RCS, Bharatmala and Dedicated Freight Corridors. The main aim of this initiative is to connect rural areas with high-speed internet connectivity and increase digital literacy. This campaign comes under the Ministry of Electronics and Information Technology and is led by Ravi Shankar Prasad and P.P. Chaudhary. There is an official website of this campaign- www.digitalindia.gov.in. Digital technologies including mobile applications and cloud computing are considered as catalysts for rapid growth of a nation’s economy and empowering citizens across the globe. These technologies are used by us daily, from government offices to retail stores. They help us to share information on concerns or issues faced by us and connect us with each other. The objective of this campaign is to come out with ideas and practical solutions for creating opportunity for all the citizens to harness modern technology and transforming our nation. Each and every citizen must be empowered enough to have an access to digital knowledge, information and services. 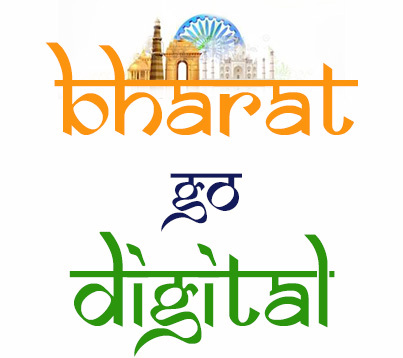 Bharat Broadband Network Limited (BBNL) which is executing the BharatNet scheme will also be responsible for the Digital India project. The government of India has planned to target the 9 “Pillars of the Digital India” specifically. Some of the facilities that will be provided under this campaign are e-shopping, national scholarship portal, Bharat Net, e-sign, Digital locker, e-health and e-education. The government of India also has an idea of launching Botnet cleaning centers as a part of Digital India. MyGov.in is an online portal to share ideas and inputs on matters of governance and its policies. UMANG (Unified Mobile Application for New-age Governance) is a multi-lingual, multi-service, multi-platform and multi-channel mobile application for services like tax payment, utilities bill payment, AADHAR, PAN, EPFO, Digilocker, Indian railway tickets bookings, e-Panchayat, police clearance, passport, birth certificates, e-District and other services from private companies. e-sign helps the citizens to sign a document digitally (online) using Aadhar card authentication etc. The 2016 Union budget of India had devised 11 technologies, creating a golden opportunity for IT companies to build out the systems that will be required and including the use of data analytics to nab tax evaders and eradicate black money from the country. This led to the major demontization in 2016. The mission of the Digital Literacy Programme is to connect 550 farmer markets all over the country through the use of digitalisation and technology. All these facilities will help in empowering the citizen digitally. The Digital Locker facility is enabled to secure and digitally store the government issued documents like passport, mark sheets, PAN card and degree certificates. It’s main aim is to eliminate the use of physical documents, and provide a hassle-free, verified electronic documents that can be carried across various government agencies. The main key points/stakeholders to this scheme are requester, citizen and issuer. The government has also implied many intiatives to create job opportunities, specially for the rural areas. It has created 28,000 BPO seats in many states and one common service centre in every gram panchayat of the state. This will cause a surge in the growth of the job opportunities. e-Sampark Vernacular email service is a service which is initiated to connect the rural India with the digital India, the government has impelled the email service providers like Rediff, Gmail etc. to provide email address in regional languages as only 10% of Indians speak in english and 90% of the Indians depend on the regional language. The email service providers replied positively and are working on this issue. Data Xgen Technologies Pvt Ltd, is an Indian based company, it has launched the world’s first linguistic email address (DATAMAIL), apparently it allows to create email ids in 8 Indian languages and will soon offer to create email addresses in 22 Indian languages. Pradhan Mantri Gramin Digital Saksharta Abhiyan’s (PMGDisha) main objective is to make 6 crore rural population to be digitally literate by March 2019. This programme is approved by The Union Cabinet which is chaired by the PM Narendra Modi. This campaign has gained support from various other countries like- South Korea, Vietnam, Singapore, US, The UK, Uzbekistan, Malaysia, Canada, Japan and Australia. Top CEOs from other countries and India have given a word to invest ₹224.5 lakh crore towards the programme. The investment will be used for providing internet services and for making smart phones at an affordable price. This will help in reducing the cost of importing all these products from the abroad and will generate a good amount of jobs in India. Digital India has also been helpful in increasing the progress of Indian Railways by being influential in the promotion of the interests of Indian Railways. Digital India’s imapct can be seen by the increased number of internet subscribers in India (500 million till April 2017) and it is increasing day by day. NextHow to Register a Company in India in 2019 ?